Play The Crew 2 for free this weekend ! Enjoy our Free Weekend to discover Motornation! 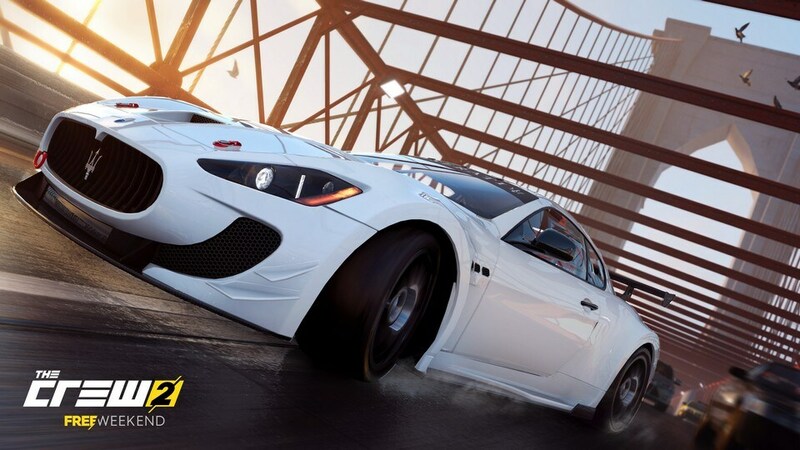 From the 13th to the 16th of December, make the best stunts and races. Ride all kind of cars, bikes, boats and planes! The free version of The Crew 2 offers access to all the map, vehicles & events present in the full version, giving you the full experience over the Free Weekend. 1. WHEN CAN I PLAY? 2. 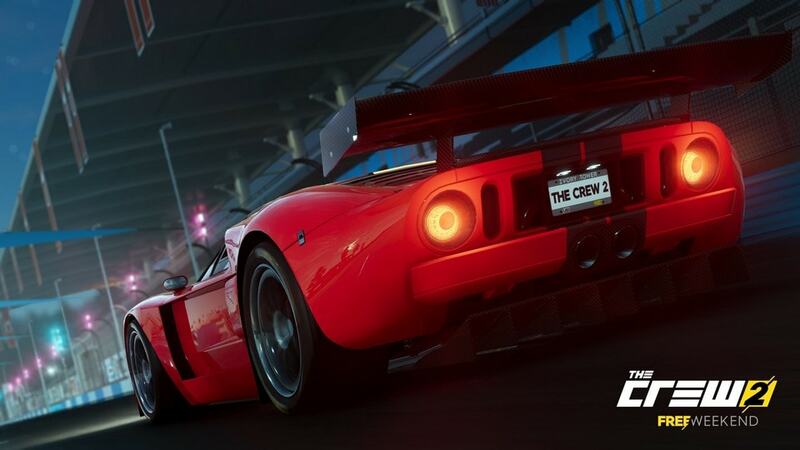 HOW CAN I ACCESS THE CREW 2 FREE WEEKEND? 3. CAN I PRELOAD THE GAME? The preload is only available on Uplay for this free weekend. 4. CAN I PLAY WITH MY FRIENDS DURING THE FREE WEEKEND? Of course. You can play with anyone who already owns the game or is enjoying the Free Weekend like you are. 5. I REALLY LIKE THE GAME AND I WOULD LIKE TO BUY IT! ARE THERE ANY OFFERS AVAILABLE? If you like the game and want to keep playing after the Free Weekend period is over, your progress will carry over to the full game if you purchase. The Crew 2 is available at a special price !! Please check your favorite store to see the available discount. 6. WILL MY PROGRESS FROM THE FREE WEEK-END CARRY ON IF I PURCHASE THE FULL GAME? All of your progress and vehicles will carry over if you decide to upgrade to the full game. 7. WHAT CONTENT IS AVAILABLE? The full game! 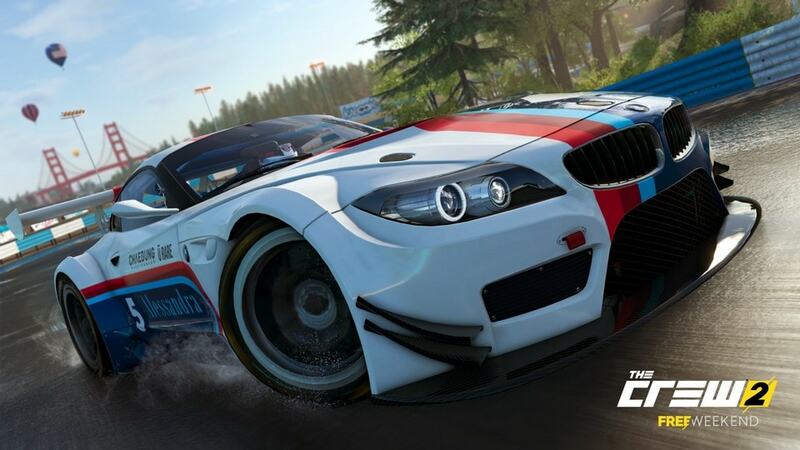 The free version of The Crew 2 offers access to all of the map, events and vehicles present in the full version, giving you the full experience over the Free Weekend. 8. WHAT LANGUAGES ARE SUPPORTED in the The Crew® 2 - Free Weekend? The The Crew® 2 - Free Weekend will include all languages supported by the full game. 9. WHAT ABOUT MY EARNED - OR BOUGHT - CREW CREDITS? Any unused Crew Credits will remain on your account. You'll be able to access them if you upgrade to the full version of the game. 10. WHERE CAN I FIND OUT IF MY PC RUNS THE GAME? The requirements for the game are available on THIS ARTICLE. 11. WHAT ARE THE OFFICIAL THE CREW® 2 CHANNELS?